Tristone acrylic solid surface material is a superb quality produce that is competitively price. It is a great choice of material where you need it to be seamless, non-porous, durable, hygienic and easy to clean. Design potential is limitless with this material, all you need is a bit of imagination and creativity. 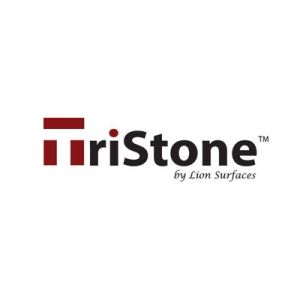 Tristone is a fantastic product for use in domestic and commercial kitchens, bathrooms, retail outlets, medical and pharmaceutical environments, offices, schools, restaurants, and many other spaces that require high performance and durable solid surfaces. It can be seamlessly curved and moulded into any shape you like, giving a modern and sleek look to any project – both commercial or domestic. Choose from many beautiful Tristone colours. We can arrange for you to see colour samples, please just get in touch with us.